Here’s a fast, simple way to really help your horse’s wither area, which means it will help back, ribs and shoulders, but especially the back and ribs. 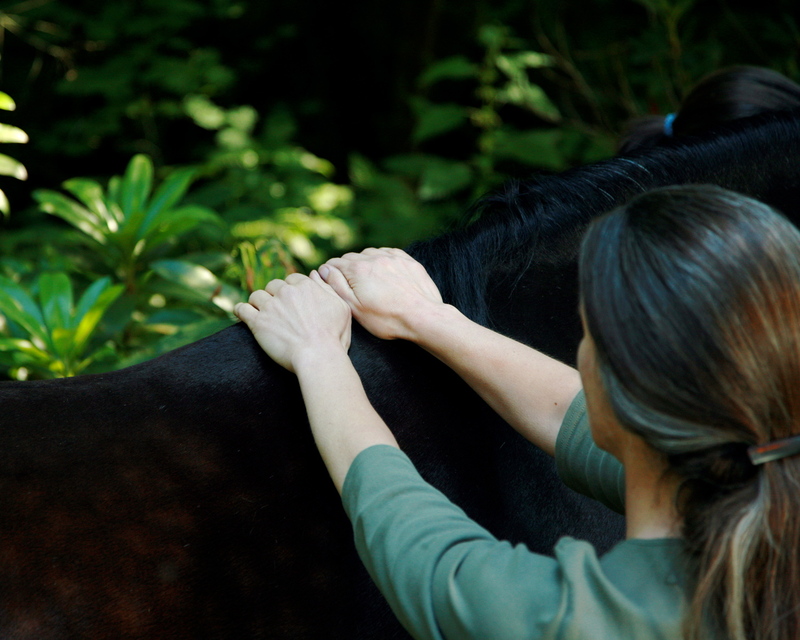 Rest your hands on top of your horse’s withers, and rock the withers back and forth (right and left for your horse). Start with small movements, and go SLOWLY so your horse can relax into it and not feel like you’re trying to push him over. Repeat 3-10 times or more, as long as your horse is enjoying it. This is a very abbreviated version of technique #9 from my book, The Horse Lover’s Guide to Massage. Follow with a wither lift, which I’ll post next….